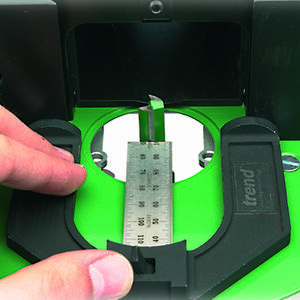 Metal rule depth gauge to help set the height of router cutters and sawblades with greater accuracy. 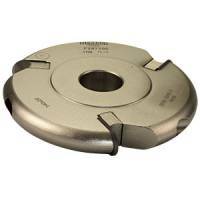 For hand routers, router tables and saw benches. 60mm wide aperture and accurate to 0.5mm. U-section plastic injection moulding with unique cam lever lock. Steel rule dual metric and imperial scale. 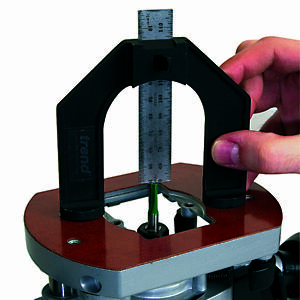 Self-standing for setting cutter depth on router tables and low profile for backfence adjustment.